New York’s costly real estate means that employers have to juggle many demands. 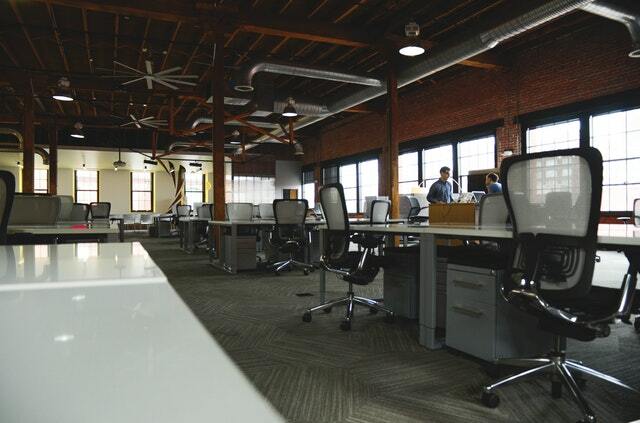 Talented employees value privacy, but office floor space comes at a definite cost. Employers have to give their corporate team members room to stretch out and not collide with their neighbors. Resource limitations can pit facilities costs, profits, employee ergonomic welfare, and other factors against each other in tough, unpleasant battles. Here’s how to know how much privacy your employees need and reduce potential strife with the right commercial business furniture. Modern, well-compensated employees enjoy many perks. On the other hand, these can come at practical costs in workplace quality. If people lack privacy due to poorly designed workplaces or unfriendly furniture, they can start feeling pretty uninspired, stressed, and unproductive. When teaching students about privacy, some educators begin with personal space. People start recognizing and conceptualizing boundaries starting at a young age. Cultural differences, individual preferences and other realities influence what they grow to define as acceptable. Since personal space can promote privacy, employers and commercial interior designers have to walk the balance between all of these factors. They also need to be budget-conscious! In 2005, a Journal of Consumer Research study examined how employees at a tech firm expressed themselves using their personal possessions. The idea of a “work self” and a “home self” are commonly known concepts. These researchers, however, seemed to suggest that common workspace environments might throw these “selves” into conflict. Giving people room where they can feel at home to self-express is critical for those in creative fields. High-level problem solvers often require high-end offices. No matter what workers are doing, they must have the space to explore ideas. Start solving these psychological problems of workplace design by tackling the basics. Common sense hints that the most effective way to understand your workers is to maintain active dialogues with them. Why not ask them what kinds of privacy expectations and problems they have regarding your workspace? Then, analyze the feedback like you would with any other aspect of keeping a company afloat. Surveying, informal discussion, and outside consultation are all good problem-solving strategies. These tactics also let your workers voice their concerns about their commercial office workstations and other equipment. Good leaders listen to the people they trust to keep their enterprises running on a daily basis. This includes lower-level employees with practical knowledge of the ergonomic limitations of office work. Since they know what they require to do the job, they can also apply their experience to helping you make smart decisions about optimal, productive privacy. Where do you go next? It’s up to you and your staff whether you decide to outfit your private offices with polished credenzas and desks or create more relaxed settings with planters and organic inspirations. Why not get more ideas from our Pinterest and stay tuned for our next blog?